Anyways, I guess this is some sort of update. I'm hoping I can make it through this week and get some reviews up. So keep an eye out for those. 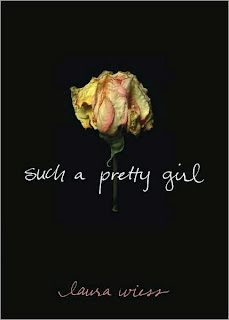 Just finished this one, it's Such a Pretty Girl by Laura Wiess. Her father was supposed to be locked up until Meredith turned eighteen. She thought she had to grow up, get out, and start a new life. But Meredith is only fifteen, and today her father is coming home from prison. Meredith's father use to be a respected man in their town. He use to coach little league, then he got put in prison because of Meredith. Because Meredith was sent to the hospital and told them everything she could remember even though her mother told her not to. Her mother wouldn't listen to the truth. She wanted to live in her delusional world that her husband actually loves her, actually wanted to be with her, and not their daughter. The truth comes out about Meredith's father and now the whole town knows and hates him, except Meredith's mother. The one person she should definitely be able to count on. Meredith was suppose to get to be able to be far gone by the time her father got out of jail, but they let him out on parole early. She thinks that maybe she can handle it if her boyfriend, Andy, a boy also abused by her father is there with her, living in the condo close to hers. But his mother decides to go to Iowa to get help for Andy with his paralysis. Now Meredith decides that she wants real justice, she wants her father to go to jail for good. She knows he'll try again, it's just a matter of time. This is a short novel that can be easily read in a matter of hours, which is exactly what I did. It's wonderfully written and fast paced. I couldn't believe the way the mother acted in this novel. She wanted to be with her husband more than she loved her own child. I also couldn't believe that they were allowing Meredith's father anywhere near her. He wasn't suppose to be alone with Meredith, but her mother never listened to that rule. She hardly cared about her own daughter. She acted more jealous of her than like a parent. I've read books and watched movies where this sort of thing happens. Where wives will believe anything their husbands tell them because they can't stand to be without them. This book helped me to further realize how much the justice system needs to be improved. Yet the ending is really purely stunning. Not at all what I expected. I did expect something to happen similar to what happened, but it still caught me off guard. It's an excellent read. Sorry this wasn't on the day that I originally planned for it to be, yesterday. 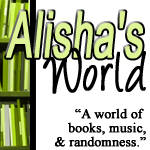 Reviewed Catching Fire, Some Girls Are, and Jellicoe Road. Didn't manage to do my From My Bookshelf post on Wednesday. I was too busy to decide on the book to review. Also didn't participate in the Hop last week, but that's kind of because I forgot and by Friday I was so tired I forgot about even getting on and reviewing any books. I have many books that I have read that need to be reviewed. They include: Dramarama by E. Lockhart, The Miles Between by Mary E. Pearson, The Forest of Hands and Teeth by Carrie Ryan, Stealing Heaven by Elizabeth Scott, and Such a Pretty Girl by Laura Weiss. So many books! I also am almost done reading Breathless by Jessica Warman. I have been reading a lot more lately which makes me happy and kind of overwhelmed because I want to get the reviews posted in a timely manner, but I'm not sure if I've been accomplishing that. Anyways be looking out for those. Wednesday I have finals, and then I can officially go home and chill. I plan on shopping and sleeping. Two of my favorite things. Hahahaha! No really my mother probably already has plans for me. I always tell her that my plans for my breaks are to catch up on sleep and catch up with friends. She doesn't always listen to the catch up on sleep part. She seems to think I get plenty of sleep at school which isn't the truth at all. So hopefully she'll actually listen to the sleep part and allow me to get my beauty sleep because I need it! Well this ends this Update. As always, are there any questions? Anything I forgot to mention? This is a book I've been wanting to read since I read a preview of it on Barnes and Noble. 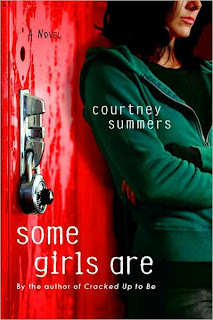 It's Some Girls Are by Courtney Summers. Climbing to the top of the social ladder is hard - falling from it is even harder. Regina Afton used to be member of the Fearsome Fivesome, an all-girl clique both feared and revered by the students at Hallowell High ... that is, until vicious rumors about her and her best friend's boyfriend started going around. Now Regina's been "frozen out" and her ex-best friends are out for revenge. If Regina was guilty, it would be one thing, but the rumors are far from the terrifying truth and the bullying is getting more intense by the day. She takes solace in the company of Michael Hayden, a misfit with a tragic past whom she herself used to bully. Friendship doesn't come easy for these onetime enemies, and as Regina works hard to make amends for her past, she realizes Michael could be more than just a friend...if threats from the Fearsome Foursome don't break them both first. Regina has been at the top her whole high school career. She was always the one giving the torture, never the one on the receiving end. Now she is. Now she knows just how much everyone hates her. She knew she was mean. She also knew that she was doing it because Anna told her to. She didn't want to lose Anna, didn't ever want to be on the receiving end of her torture. Now she is all because she told the wrong person what happened at a party. She told the one person who would spin it the wrong way and make her look bad. Now no one believes her when she tries to tell them the truth. Except Michael, who should hate her because of what she did to him. He should hate her just like her former friend Liz does. Liz received the same treatment that Regina is receiving, but there's one difference. Regina knows what these girls are capable of - at least she thinks she does - and she's going to fight back. She may be sorry for what she did to Michael and Liz, but she'll never be sorry to Anna and Kara because of how they decided to handle things. I'm just glad I never had to go through this in high school. Yes at my high school people gossiped and spread rumors, but it was nothing compared to what happens to in this book. Also I was never one who went out of my way to get noticed, so things like this never came my way. Honestly girls can be brutal, especially ones who think they've been wronged in some way. I kept wanting to shout at Anna and tell her to listen and ask herself why Regina would lie about such a serious thing as being raped. But you could tell she didn't want to listen, just wanted to get revenge. Anna was always the mastermind behind the bullying, but she always had other people do her dirty work for her. They didn't stop at a simple freeze out and spreading of rumors. No they wrote whore on her locker, made a nasty website about Regina, and even went to the point of attacking her physically. Yet that's not the worse of it. When Anna finds out how important Michael is to Regina, she uses that against her, and tries to break them apart forever. I wondered as I read this book, where's the adults. Where are the people who are suppose to help in these situations. The ones who always say they're here for you if you need them. Those types seem to absent from this book. Yes Regina's parents are there, but they easily believe what she tells them. There are teachers and the principal, but they seem to ignore the obvious signs of something wrong with their students. So Regina is basically left on her own to deal with this, until her and Michael start becoming friends. She may have found someone to finally turn to. Yes this is a book about the mean girl finally getting what she deserves, but does anyone really deserve something like this to happen to her. Maybe in the beginning some people will be happy that she's finally getting treated like she treated everyone else at school. But there does come a point when enough is enough, and no one deserves things like this to happen to them even if they may have wronged people in their past. This is the book I highlighted on my Hop post. 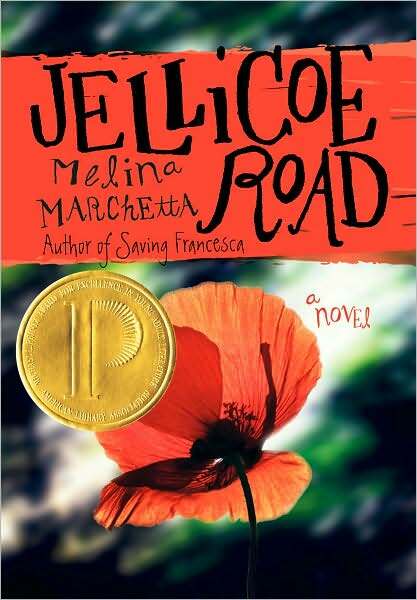 It's Jellicoe Road by Melina Marchetta. At age eleven, Taylor Markman was abandoned by her mother. At fourteen, she ran away from boarding school, only to be tracked down and brought back by a mysterious stranger. Now seventeen, Taylor's the reluctant leader of her school's underground community, whose annual territory war with the Townies and visiting Cadets has just begun. This year, though, the Cadets are led by Jonah Griggs, and Taylor can't avoid his intense gaze for long. To make matters worse, Hannah, the one adult Taylor trusts, has disappeared. But if Taylor can piece together the clues Hannah left behind, the truth she uncovers might not just settle her past, but also change her future. For starters, this book confused me in the beginning. I hadn't read the synopsis when I decided to read it. I just picked it up at the library read the small summary on the copyright page, and decided to give it a try. That wasn't the reason it confused me. It starts off with an exert from something else, but I don't fully understand how it goes along with the story. It didn't involve Taylor, so it kept me wondering what it had to do with the book at all. There's more like this throughout and as Taylor starts to piece them together I do too. It may just be me who thinks these passages from Hannah's book are confusing, but I also didn't know they were from Hannah's book. A bunch of this book is about uncovering things. Like everything seems to be a mystery that we'll find out about later, so it keeps you reading. But it's not just that. I really liked reading this book. I liked reading about the territory wars, and I kept wanting to know how everything tied in together. I honestly got emotional close to end. When everything came out and I find out what had happened before, it just got to me. This book was excellent, even after the slow start it had in the beginning with me being confused, I ended up liking this book a whole lot. 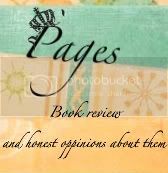 It was well written and gets you engrossed in the story. It's based in Australia so some of the terminology I didn't completely get but that in no way effects the story that is being told. I really wish I had a place like Jellicoe Road now. Finally got to read this book. 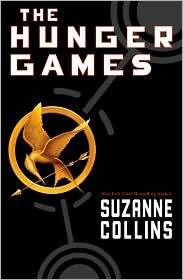 It's Catching Fire by Suzanne Collins. Against all odds, Katniss has won the Hunger Games. She and fellow District 12 tribute Peeta Mallark are miraculously still alive. Katniss should be relieved, happy even. After all, she has returned to her family and her longtime friend, Gale. 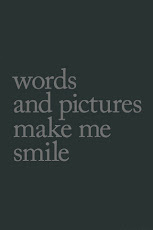 Yet nothing is the way Katniss wishes it to be. Gale holds her at an icy distance. Peeta turned his back on her completely. And there are whispers of a rebellion against the Capitol - a rebellion that Katniss and Peeta may have helped create. 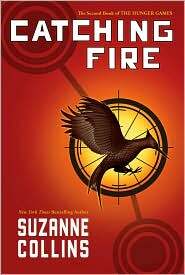 In Catching Fire, the second novel of the Hunger Games trilogy, Suzanne Collins continues the story of Katniss Everdeen, testing her more than ever before ... and surprising readers at every turn. Where to begin, where to begin? All I can say is that I am simply amazed. I had liked the first book. I thought it was good. I thought it had the right unexpected twists and turns that made it a book you didn't want to put down, yet I still thought that it had all these twists but I still wanted something more from it. That if I had gone my whole life without reading it I would be fine. The second book took it up a notch. Collins throws in more twists and more turns. She shows the cruelness of the Capitol even more. You wonder how is Katniss suppose to stop a rebellion when she thinks there needs to be one. The Victory tour was meant to help save the lives of the ones she loves, by trying to prove to the Capitol and all the districts that she was so love crazy, it was her final act to keep the guy she loved, not a act against the Capitol. But Katniss doesn't know what it was anymore. She does know that all she wanted was to live. Yet she goes along with what President Snow tells her to do anyways, but it may be too late. Things have already happened that she can't change, and there's always that other twist that will make you cringe. I wondered as I read this book how any person could think this was fair. That sending children to fight to the death was an okay way to keep people from rebellion. That killing anyone who said something against the Capitol was right choice of action. That the Capitol should be allowed to thrive, while the districts starve and are basically slaves to the Capitol. I also kept wondering how the people in the Capitol got to live where they are. What made them so special to get to pretend that the Hunger Games are just that a game, a form of entertainment. I know there are countries out there that treat their citizens just as poorly, and I hate that this is how the world is, and maybe that's what the Hunger Games trilogy is trying to show. I just know that this book had me on my toes, not wanting to put it down, or miss a second of being able to read it. I can tell you that if you haven't read this book already then you will be truly surprised by what happens and the ending.